When it comes to treating pool water in recreational facilities, the less combined chlorine (chloramines) and disinfection byproduct (DBPs) you have the better the air and water is. To reduce combined chlorine and maintain the freshest, safest and healthiest water and air quality for swimmers and staff, two similar recreational facilities in the Los Angeles area, with a total of seven bodies of water, added a medium pressure ultraviolet (UV) system and a hydroxyl-based Advanced Oxidation (AOP) system and tested the performance. 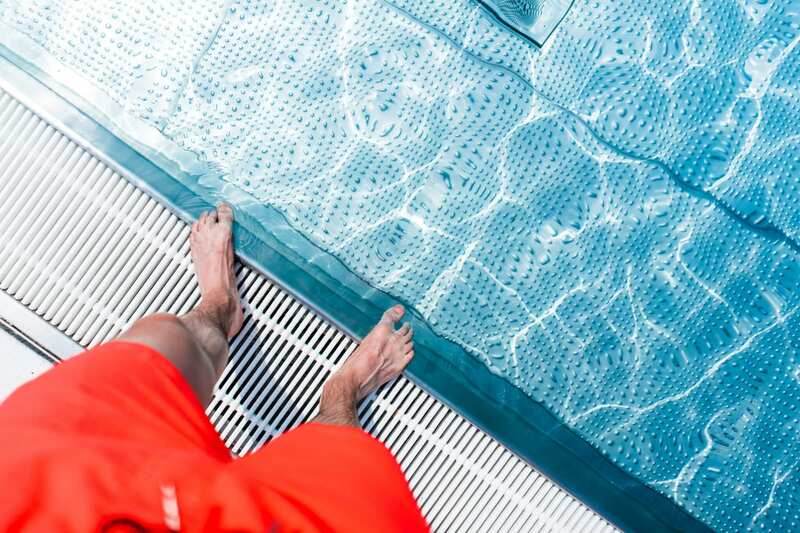 Adding secondary or supplemental sanitation, like UV or AOP, can save recreational facilities a significant amount of time and money on pool maintenance and operations. Without secondary or supplemental sanitation recreational facilities pose a higher risk for over-chlorination, poor water and air quality from combined chlorines and DBPs and Cryptosporidium outbreaks. In addition to harming swimmer and staffs’ health, odor-inducing combined chlorine and DBPs can damage a recreational facilities reputation because smell has the strongest connection to memory. When patrons come to your facility, they should remember all the good things your facility had to offer – not the pool odor. The two tested recreational water facilities chose to be proactive – and not reactive – in their approach to water care. The testing began in May of 2017, and the first facility used the hydroxyl-based AOP for its two pools and one spa and the second facility used medium pressure UV for its three pools and one spa. All seven bodies of water started the testing with new water, and were then monitored for six months. One of the oldest forms of secondary and supplemental sanitation on the market is medium pressure ultraviolet (UV), while another newer leading supplemental sanitation method is hydroxyl-based Advanced Oxidation (AOP) method, which is patented. Each tested recreational facility had similar chlorine and bather load levels so digital spin and DPD testing could properly measure the effectiveness in combined chlorine and DBPs reduction. Testing ended in February 2018, and while both methods were successful, the hydroxyl-based AOP method reduced 55 percent more combined chlorine and 22 percent more DBPs than medium pressure UV. In addition to better combined chlorine and DBP reduction, a hydroxyl-based AOP system’s total cost of operating is up to 60 percent less and can take up to 90 percent less energy to operate than that of a UV system. With hydroxyl-based AOP or medium pressure UV, the addition of any proven secondary or supplemental sanitation is a healthy, cost-effective and sustainable win for recreational facilities. Gabrielle brings her experience in communications, marketing, customer satisfaction, design and media to Clear Comfort. As the talent behind Clear Comfort's infographics, she excels at finding creative ways to educate swimmers about the power of Clear Comfort's pool treatment system.